What Are the Dangers of Mineral Oil? How Often Do You Use Mineral Oil to Lose Weight? What Foods & Minerals Deplete Calcium? How Many Calories Are in Mineral Oil? Mineral oil, often used as a laxative, is obtained by petroleum distillation -- and it coats the lining of your intestine. Overall, mineral oil has no nutritional value, but does prevent absorption of some vitamins and minerals, according to FitBit and Askdrsears.com. 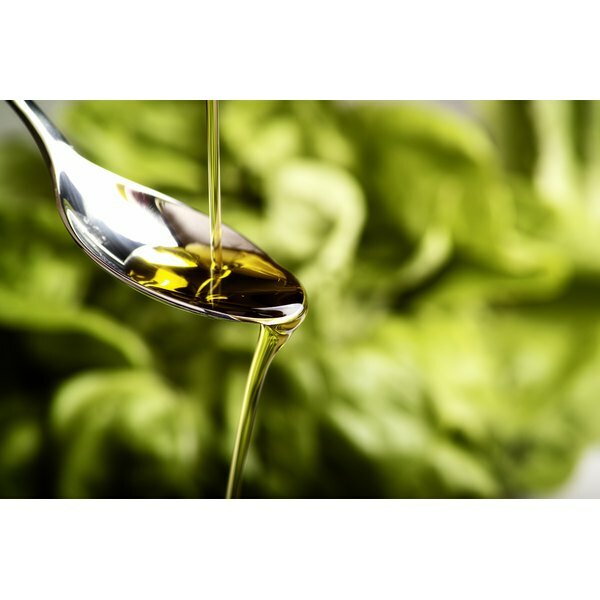 Unlike edible oils which provide about 120 calories per 1 tbsp., your body cannot digest mineral oil. Therefore, mineral oil contains no calories, reports FitBit. Edible oils provide fat calories. Mineral oil, while somewhat safe to digest in certain situations, does not belong in the edible oil category. It provides no fat, as your body cannot digest it. Mineral oil coats your intestinal walls, preventing the absorption of water and many vitamins and minerals into your body, particularly the fat-soluble vitamins A, D, E and K, notes Askdrsears.com. Mineral oil may be absorbed by the body when taken in combination with other drugs such as stool softeners -- including docusate calcium, docusate potassium or docusate sodium. This does not mean the mineral oil will then contain calories, but it may cause toxic side effects including nausea and vomiting, according to the American Cancer Society. Mineral oil may also affect the action of certain blood thinners and birth control pills. Robin Wasserman has been writing and prosecuting biochemical patents since 1998. She has served as a biochemical patent agent and a research scientist for a gene-therapy company. Wasserman earned her Doctor of Philosophy in biochemistry and molecular biology, graduating from Harvard University in 1995. Does Sodium Give You Energy?